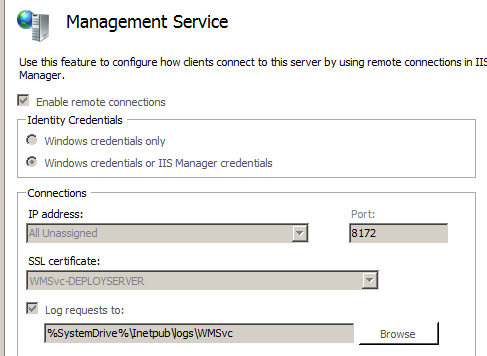 If you use WebDeploy on your IIS Servers, and have trouble to publish web sites on them using the WebDeploy tool, you may have received errors such as: Could not connect to the remote computer (“targetserver”). 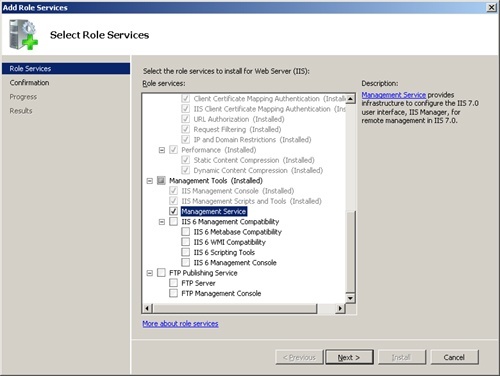 On the remote computer, make sure that Web Deploy is installed and that the required process (“Web Management Service”) is started. Learn more at http://go.microsoft.com/fwlink/?LinkId=221672#ERROR_DESTINATION_NOT_REACHABLE. You have probably found articles saying you must check the firewall on port 8172 and restart services such as MsDepSvc and WmSvc. However those articles fail to explain that both services do not come with WebDeploy and these workaround don’t solve 40x errors. I installed WebDeploy 3.6 using “Web Platform Installer” and there is no option to uninstall it or repait it and i’m getting the 404 errors. 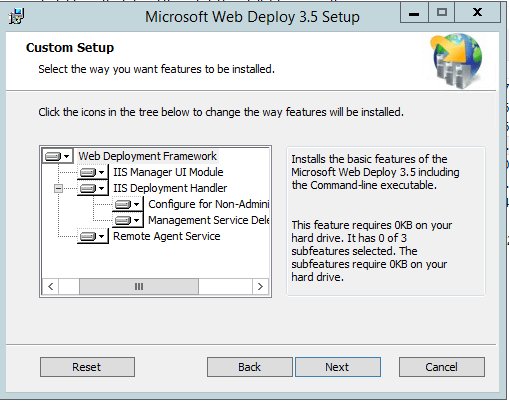 very helpfull, by doing it in the described order (install the management service first and then the web deploy) there is no need to reinstall, and then it works first time.